Thank God our internet isn’t the most reliable because a few weeks ago, in a purely emotional state, I turned on my computer with the mindset to delete my entire blog. I was feeling defeated, insecure, and wavering in my beliefs. That’s how rough the week had been. It’s very difficult when you decide to use a treatment like biomedical, which is controversial, not understood, and foreign to the general population. It’s even more difficult when even amongst the autistic community, the one you belong to because your child doesn’t “belong” to the typical community, isn’t supportive, understanding, or encouraging with your course of treatment. It becomes overwhelming when all you’re trying to do it help your child and you’re seen as harming, non-accepting, and downright insulting those in the autistic community who believe there is nothing to “fix”. I think we should all encourage each other with whatever route we choose to take. All we are all trying to do for our children is to help them achieve their fullest potential. None of us would ever do something knowingly to harm our child. I believe it’s so important to remain open minded when it comes to all different types of treatments for our kids. I do want to “fix” things that limit him because of autism. I don’t want to “fix” his sense of humor, his silliness, his outgoing lovable self, his love for electronics and comic books, his deep emotional connection with everyone around him. I don’t think that by taking away behaviors such as pacing, walking in circles, vocal ticks, inability to focus his attention, hand flapping, food sensitivity, smell sensitivity that I will be altering who he is. These are issues that limit who he is. Maybe our route of treatment will work, maybe it won’t, but I need to try. Since beginning our journey in biomedical treatment a little under a year ago, this is the 1st time that I have felt doubt and questioned its validity. Things have not been progressing as they did in the beginning and we’ve hit a wall, so to speak. I’ve cried, I’ve prayed, and I’ve considered giving up, but in the end I reminded myself the wise words of his doctor. “This is not a sprint…it’s a marathon”. If I don’t stick with it and finish what we started, I’ll never know if it was really the answer and if it would have worked. So, I’m sticking with it. I’m giving it a chance to heal that which needs healing. I’m continuing with the supplements his body needs to support his system and repair damage done, we’ve started hyperbaric treatment (I’ll write a post about that soon), we continue on a very strict gluten/casein free diet, I’m still trying to reduce his carb and sugar intake (to control yeast) and increase his protein and vegetable intake, and I’m also learning more about using essential oils. We’re back in occupational therapy after a few months off (insurance change) and I’m hoping to begin seeing those positive changes we initially saw when starting OT soon. 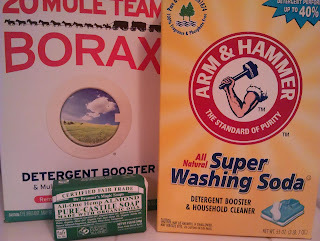 I try to minimize my kids exposure to chemicals, so I use 100% natural cleaners in our home. There are so many environmental toxins that we come in contact with that we cannot control. So, I feel that if I can minimize my children's exposure in any way that I can it will help their developing bodies. For me there is no mystery to the prevalence of diseases in our society. From birth many children are pumped full of chemicals, their skin is exposed to chemicals, and then they are fed foods that have been showered in even more chemicals. What are we to expect? The CDC, the food and drug administration, along with many companies that have been attacked for having toxic substances in their products, all claim that the small amounts of these toxic/questionable ingredients are so minute that they wouldn't cause any harm to humans. How is this acceptable on any level? I don't want to feed my children traces of toxins! While these small amounts might not produce immediate harm, what are the long term effects and what about continual exposure and build up of chemicals from the vaccines, shampoos, body wash, toothpastes, house hold cleaners, and food? What about children, such as mine, whose bodies have the inability to process, filter, and get rid of these chemicals? 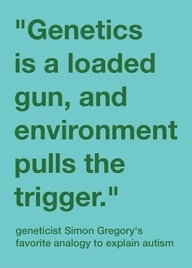 They just build up in their little bodies and cause so many diseases and developmental disorders. So, as I mentioned before, my first line of defense is to keep the chemicals out of my home by making my own household cleaners. These are simple recipes that I use for all my cleaning needs. I have been using this recipe for well over a year and I absolutely loved it! 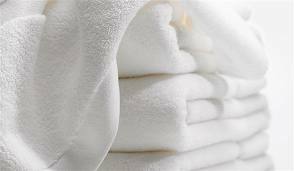 Our clothes are clean and fresh. I've never had problems getting stains out, even with my messy toddler. 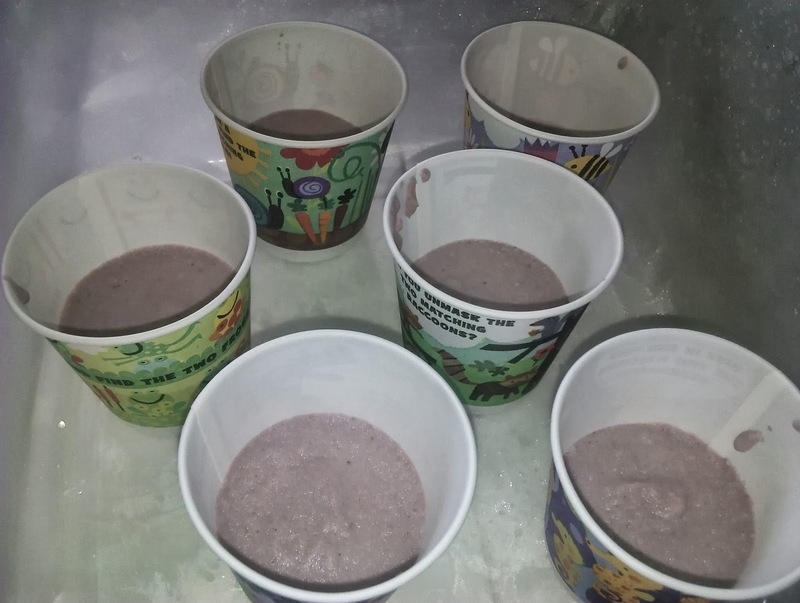 I usually make this in the evenings after my kids go to bed and it only takes me about 30 minutes AND it lasts me 2-3 weeks! Not only is this healthier for my family, but it saves us so much money!! First start by grating the bar of soap. Then, fill a large pot about half way with water. When the water is boiling add the grated soap and stir occasionally until all the soap has dissolved. 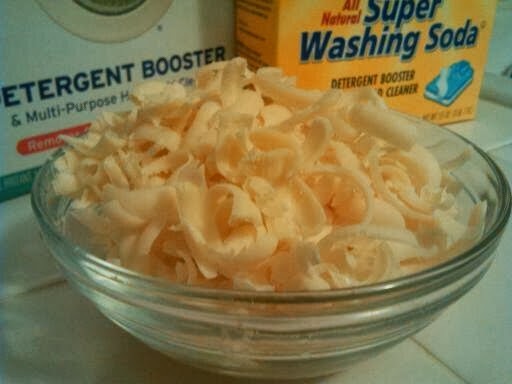 Once the soap is dissolved, add 1 cup of borax and 1 cup of washer soda. Add these slowly as they can cause the water to bubble up and over flow. Continually stir the pot until all the ingredients have dissolved. 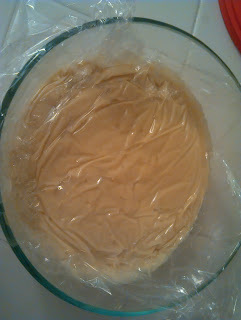 Turn off the heat and wait until the mixture is warm. I like to use empty vinegar container (as I have so many of them!) to store my homemade laundry detergent. I use 4 vinegar bottles and pour my mixture into them so that each one has equal amounts. Then I turn my tap water on very hot and fill the bottles up the rest of the way. Fill them very slowly so your mixture doesn't bubble up and you end up with a lot of foam on top. Give them a good shake and you're done! The laundry detergent will thicken over night, but a few good shakes in the morning should even it out. 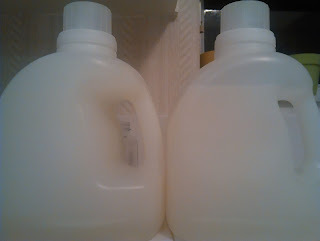 If your mixture becomes too thick, just pour some into another container and add hot water until you have a nice consistency ( about that of regular laundry detergent). I add about a cup to a regular wash. Vinegar!! That's it...one ingredient! I add white distilled vinegar to the liquid fabric softener cup at the beginning of a wash and that's it! Vinegar removes all soap residue from clothes, which is what causes clothes to be stiff. What I'm left with is clothes that feel just as soft as any fabric softener could do and no static. What about the smell you might ask? There is none! As soon as your clothes dry any trace of a vinegar smell (I never even notice a smell when I pull them out of the wash) is gone! I promise...not even a slight smell of vinegar. My clothes have no real smell, fresh is the only word I can use to describe their smell (if you can't tell, I'm a little obsessed with my laundry). Again, I only have one word...vinegar! As you can probably see by now, I have a love for vinegar! It's cost effective, safe for the environment, and 100% free of chemicals. It's effective in killing mold, bacteria, and germs. 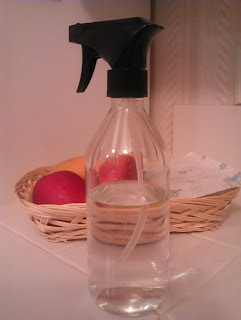 I never have to worry about spraying it on food work surfaces or on my kids toys. I keep a spray bottle of pure white distilled vinegar in my kitchen and that is what I use to clean EVERYTHING from my counter tops to my daughters highchair. The smell of vinegar really doesn't bother me, but I know that most people don't like it in such a pure state. I've also made Lemon Vinegar, which completely masks the smell of vinegar and all you're left with is a fresh lemony smell in your home. I first read about lemon vinegar in this amazing blog One Good Thing by Jillee. I use a mixture of white distilled vinegar and borax to clean my toilets. Baking soda and vinegar for my tubs, showers, and sinks. If I have any mold I use 3% hydrogen peroxide. I just spray the moldy surface until it is saturated and let it sit for about 10 minutes. Then, I scrub to remove all mold and mold stains, wipe the surface, and give it an extra wash with pure white distilled vinegar :). Again, for my bathroom counter I use undiluted vinegar. As you can probably guess, I use vinegar to clean my floors! I mix vinegar (probably more than I really need) with water and mop away! What do you do after you receive the diagnosis that your child has autism? This is not a simple answer nor is there a prescribed list of things you should do since each child's needs will be different. For me though, I would recommend the following steps as a starting point. This is not what I did, but rather what I wish I would have done. The things I’m recommending I eventually got to, but I took a long route in getting there. I had a few stumbling blocks along the way that slowed down my journey. The first one was denial. When I received his diagnosis I was in deep denial. I didn’t stand still, but I didn’t dig deeper either. Well, I dug, but in all the wrong places. I spent countless night after countless night looking up what autism was from a conventional standard medical point of view. That only led me further into my denial because if I believed them then this would be a dead-end diagnosis with no hope of recovery. I told myself that as soon as his speech caught up no one would notice any difference between him and other children. I told myself that he would simply outgrow it. I desperately looked for stories of children who simply outgrew their autism. I only did what his school recommended, which was speech therapy and occupational therapy. While that’s fine and a great beginning I should have search out the right kind therapy for a child with autism. Not all children are the same and not all therapist are the same either! Well, hindsight's 20/20. Here’s my list of the steps I think every parent should take. 1. Find a speech therapist that specializes in children with autism. I did a lot of home therapy, but I really find that receiving any therapy in a therapy facility affords much more opportunity for progress. The resources are better and more abundant than what a therapist can bring to your home. Also, there is a lot more on going training, supervision, and consistency in methods when a therapist works at a facility vs. one who is an independent contractor. Again, solely my opinion. 2. Secondly, and most importantly, is to find an occupational therapy facility that specializes in sensory integration. This is SO important I can’t emphasize it enough!! The type of therapy you receive from sensory integration OT is very very different! This therapy has made the biggest impact on my son’s progress more than any other therapy. I could only imagine where we’d be had he had it from an early age. 4. My next, and most important step, would be to find a DAN! Doctor. 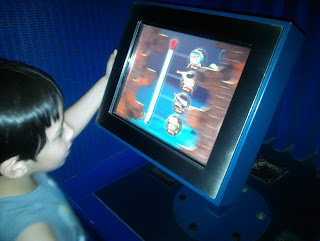 This has been the single most important decision that my husband and I made and one that I believe will save our son from struggling with autism. DAN! (Defeat Autism Now) Doctors follow a certain protocol when treating autism and believe that autism is a biomedical disorder that is caused by a combination of lowered immune response, external toxins from vaccines and other sources, problems with food allergies and digestive issues, and at times genetic predisposition. Unlike traditional doctors, they do not view autism as a psychiatric disorder. They work on healing the child internally to minimize or stop autistic behavior. Treatment usually consists of nutritional supplements, gluten/casein free diet, extensive testing for allergies, deficiencies, and genetic vulnerabilities, treatment of yeast overgrowth which is very common in autistic children, and detoxification of heavy metals and toxins. I think that these are good places to begin when your child is diagnosed with autism. It’s not easy in the beginning and it requires a lot of time, patience, planning, organizing, and sacrifices, but it does get easier. It becomes second nature and you establish routines. Many people become discouraged and even give up when they see the work it takes. Don’t give up! When I came home from my first DAN! Doctor appointment I was overwhelmed. I spent all day and night making charts and graphs and plans in order to give my son his supplements and other therapies. Now, I prepare 3 baggies of supplements the night before, mark them breakfast, lunch, and dinner, and I’m done. I drive him to all his therapies just as any other mom drives their kids to soccer practice or dance class. 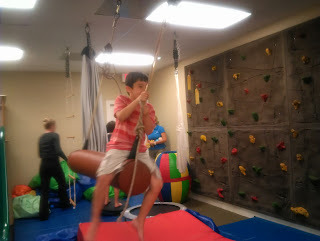 We do exercises and therapy at home just as any child would practice their hobby or sport at home. When we go out to parties or restaurant I pack his lunch box with his gluten/casein free foods and no one has said boo to us. I know that each child is different and that each child’s needs might be different, but I believe this is a good bouncing board to start from. I highly recommend reading the book “Healing our Autistic Children “by Dr. Julie A. Buckley. It will change the way you see your child, autism, and treatment. Since going gluten/casein free there have been a lot of snacks that Alec misses. Most of them I've been able to recreate or buy, but there are two that I haven't been able to figured out. Those would be cheese crackers, like goldfish or cheese-its, and vanilla pudding (we're not fans of the soy pudding and the almond milk pudding we find is only chocolate...which he won't eat). The crackers pose a bigger problem because how am I suppose to make a delicious cheesy cracker with out using cheese?! I have yet to find a cheese substitute that is delicious! I love cheese and could eat it all day long, but the cheese substitutes are OK at best. Nothing I would indulge in. 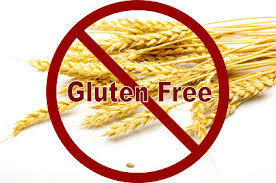 With that being said, I will try to make a gluten/casein free vanilla pudding first! 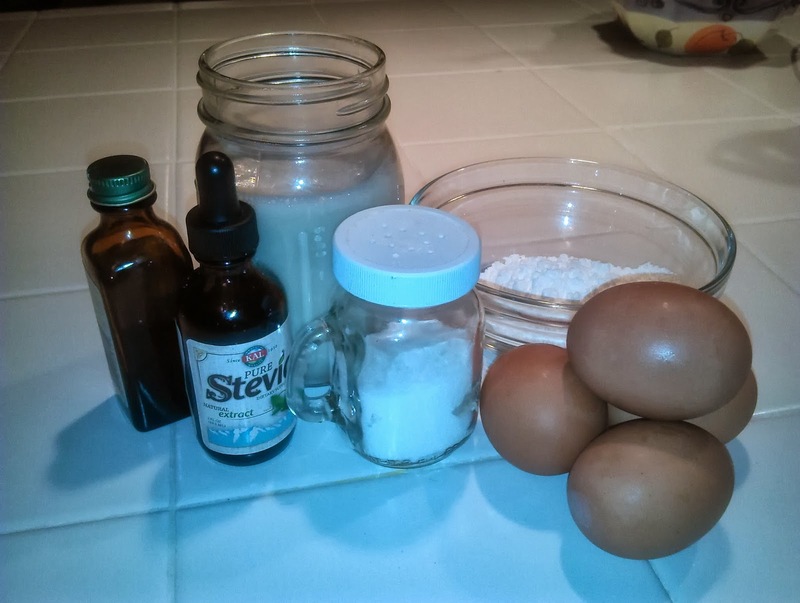 Besides making it GFCF I also want to reduce the amount of sugar I use in this recipe by substituting pure stevia extract. We're treating him for yeast, and yeast loves sugar, so I've been trying to reduce his sugar intake. Crossing my fingers that my very picky eater approves of this non-dairy version! He loves his coconut milk yogurt, but not the coconut or almond milk ice cream...who understands! 1. In a small dish combine cornstarch with 4 tablespoons of almond milk. Mix until dissolved. 3. 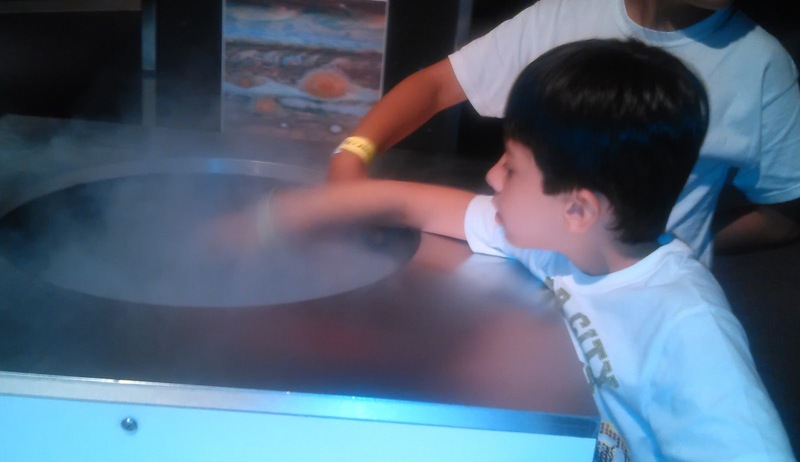 Cook over medium heat, stirring constantly, until mixture thickens and bubbles just begin to form on the surface. 5. 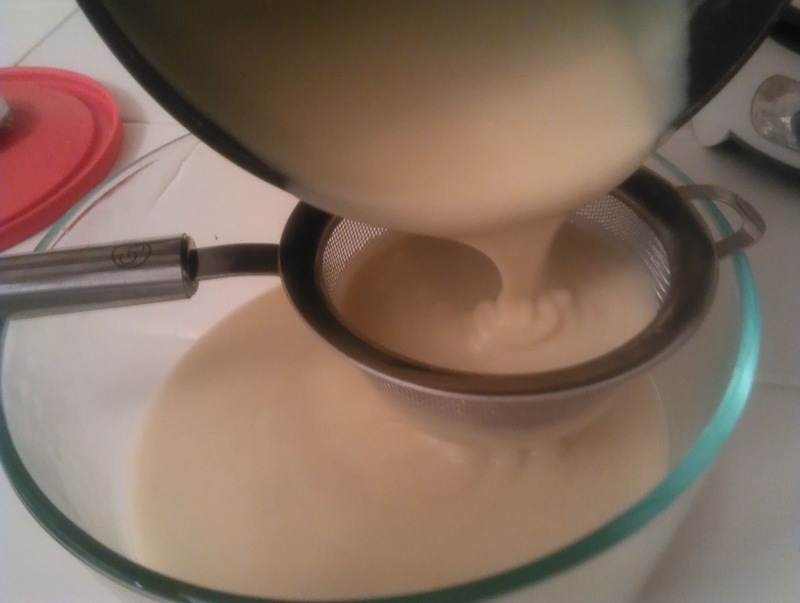 Pour the mixture through a fine sieve. Mix in the vanilla extract. 6. Place plastic wrap directly on the surface and chill for 2 hours before serving. If you ask me about Alec's autistic symptoms I can give you a list of them. I pay close attention to this list and look for any changes as we do his biomedical treatment. I've noticed so many changes. His eye contact is better, he's more focused, he's listening better, his language is exploding, he's using idioms in his language, he has conversations that are more in depth. These are changes I was watching out for, but recently I've noticed something unexpected. It was unexpected because I never noticed it didn't exist. It all started last week on the way to my parents house. We were driving over the bridge that goes over the inter-coastal waterway. He was staring out the window and then says, "Wow, look at all those boats". At this point I didn't think much about it, but as the week continued he kept pointing things out to me and to his little sister. I thought about it, usually when he stares out a window or looks around his environment he is "inside" his head...in his own world. Now he was noticing the world around him. When we got home from grandmas house we were playing in his room, a room that we redecorated months ago in an outer space theme, and he says "My outer space room is really cool!". He then begins to look at specific decorations and talking to me about them. When he had first seen his room after my husband and I had redecorated it he said "Wow, I like it" and that was the end. He never mentioned his room again. I think he just didn't notice his room. It is truly like a fog has lifted from him and he can see his world clearly. I can't even begin to imagine what that must be like, but I'm so happy that he's finally getting to enjoy all the little things that we sometimes take for granted. Alec's DAN! doctor wants us to increase medium chain fatty acids in his diet, but it's been so hard because he's such a picky eater. There's only so many muffins cooked with coconut oil that I can give him and I don't think that's getting enough of it in him. This is important for improving his brains function and can also help to open his appetite when it comes to trying new food. 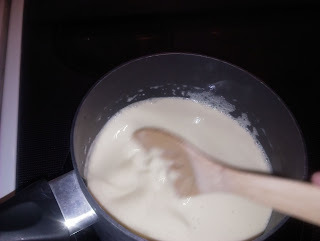 In my latest attempt to get him to eat coconut oil I made a cashew and coconut oil ice cream. He loves vanilla ice cream and only vanilla ice cream, but since he's casein free he can no longer have it. I have bought coconut milk ice cream, rice milk ice cream, and almond milk ice cream, but he hasn't liked any of them. I don't know what makes me think he'll like my cashew/coconut oil concoction, but a mom can always dream, right? Add all ingredients in your blender and blend until smooth. If you have a really awesome blender, like a Vitamix (I really want one! ), then you're done. 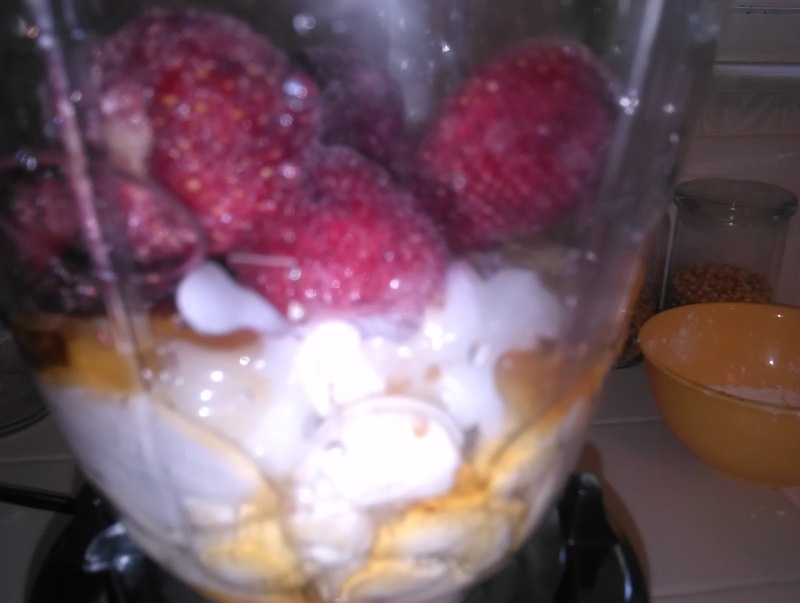 If you have a not so awesome blender, like me, then I'd continue to the next step. I like to put my ice creams in little paper cups in the freezer. They each have about 2 tbs, which should be a good serving of healthy fats for my kids! Alec started occupational therapy about 3 weeks ago and it has been wonderful. He LOVES going! Everyday he asks me if he gets to go to OT today. The results from it have been great. When we leave OT, that night and into the next day, he is SO calm and focused. It’s amazing the difference I see in him. His teacher has told me the same thing. One day at school he was so quite and still that his teacher asked him is everything was OK. He very calmly responded that he was good. S0000000…I want more of this for him! My husband and I decided to convert our dining room into a sensory playroom where he can go for all of his sensory needs. We moved out our dining table! So far we’ve covered the floor with large solid puzzle mats and got an enclosed trampoline. I also put the slide in there as well as the train table. The train table I will convert into a sensory table. My husband is planning on building a large ball pit from PVC pipes and netting. I’m also going to make a large crash pad from a duvet cover that I have. I want to have lots of bean bags, large exercise balls, and sensory balls to roll around on, crash, and bury himself as well as a cocoon swing. Drumroll please....The results are in! So, we finally got all the results from the tests/labs that Alec's new DAN! doctor had done. Prior to receiving the results I had told my husband that I hoped his results didn't come back normal because that would mean that there would be nothing to fix or work on. I was really anxious that it would be the case for us, but I didn't prepare myself for the opposite. What if there was A LOT wrong? Well, that's what we got. I'm still kind of shell shocked, but what did I expect? We're not dealing with a little vitamin deficiency...we're dealing with Autism. A condition that is so complex and affects so many different aspects of a persons life. How could I have thought it would be a simple matter of a deficiency here and a deficiency there. So here it is...we have all of our puzzle pieces. They are mistreated, worn out, damaged, and now we must fix them, polish them, give them the care they need so we can put them back together as a whole working picture. The puzzle piece symbol for autism is appropriate in so many different ways! Let's start with the simple things. Alec has vitamin A, D, and B-12 deficiency. Vitamin A deficiency can cause a lot of visual sensory issues. There have also been links between vitamin D deficiency and autism. This is a good site about that. Vitamin B12 deficiency is also commonly seen in children with autism. Using the supplement Methyl-B12 has shown to have a profound effect on autism and other neurodevelopmental disorders. Other issues we're addressing with supplements are deficiencies in Magnesium, Selenium, Cholesterol, and protein. Alec has also tested positive for a genetic mutation known as MTHFR gene mutation. He actually tested positive for 2 copies of this mutation which means that he received it from both mom and dad. MTHFR gene mutation is not too uncommon. Most people will never even know they have it. This gene mutation is responsible for things such as heart disease, depression, schizophrenia, clotting issues, among other health issues. In some cases though, a bad combination of the MTHFR genes will pair up and a person will end up with the inability to process metals and sulfates. This build up, when combined with environmental factors such as toxins from food, cleaning supplies, and vaccines, can be one of the triggers for autism. This genetic mutation also inhibits the proper processing of Folic Acid. What does MTHFR gene do normally? MTHFR is an enzyme that allows us to process Folic Acid. It is a very complicated chemical model that shows how the body must process Folic Acid so that many other processes can occur. It's a chain reaction and when there is a malfunction at one point, it effects the rest of the chain. In a nut shell, the inability to process it properly leads to many other dysfunctions at a cellular level and that leads to many illness, including cancer, that plague society today. It is also responsible for many behaviors that we see in children with autism and ADHD among other developmental disorders. The way around this is to give the body activated folate. This type of folate can be properly processed by people with this genetic mutation and can help stop the problems it's causing. We are using Deplin to treat this in Alec. While the mutated gene can never be fixed we can bypass it with this treatment. Alec also tested positive for PANDAS titers. PANDAS stands for pediatric autoimmnue–neuropsychiatric-disorder-associated with- Streptococcus. Children with autism seem unusually vulnerable to strep in a way that triggers increased obsessive and compulsive behaviors . Essentially what happens is the body’s immune cells (already on over-drive in autism), see the strep bacteria and mount an immune response. They make antibodies to the strep bacteria (the way we want them too), but that is where things get off track. Those antibodies cross-react with the brain in way that triggers the OCD type of behaviors and other behavior commonly associated with autism. It can also trigger tics and other odd movements. Even if a child with PANDAS has not been sick with strep for months or years, the strep bug has decided that it's OK to cohabitate. His body keeps the bacteria in check by keeping antibodies levels high. The antibodies interfere with brain function and create these behaviors. There are many different ways of potentially treating this. We are treating it with antibiotics, antifungals, and antiviral medicine. Hopefully it will work. Lastly, and the thing that impacted me the most was the results from his viral immunology testing. First, his immune system is very low. This needs to improve. I've been given four options to study about before deciding which one I want to do. Secondly, his body has very elevated levels of Measles and Mumps virus. This is from the vaccines he received. Normally, when you receive a vaccine you process it and you remain with a small enough antibody that if you were to ever come in contact with that disease your body could prevent you from getting it. Alec's body did not process the Measles vaccine nor the Mumps vaccine as it should have. Due to the elevated levels of these viruses his immune system is busy fighting these disease that he actually doesn't have. This is with the already limited immune system that he has. To me this PROVES what I've always felt is true. Not that vaccines CAUSE autism, but that in some individuals vaccines can TRIGGER autism. I'm so excited! This has been a great week. Alec's teacher told me on Tuesday that for the first time ever, he came in in the morning, sat down for morning work and wrote 5 sentences without any prompting or reminders to get back on task! Then, in the afternoon, he completed all of his challenging math worksheets with very minimal prompting. The week has continued just like this! This is a big deal because he'd gone from completing work (with a lot of redirection) in the beginning of the year, to not doing any work at all (prompting or no prompting) as of a few weeks ago (I think it was due to his body detoxing), to doing work with minimal or no prompts. To me, this is a fist sign of success! Happy day! Sign up with your EMAIL to recieve news of our progress and new healthy recipes! !